*Please note* Pets at Peace does not perform euthanasia as this must be administered by a licensed Veterinarian. We do work with the best mobile veterinarians in the city (Toronto location) and can arrange this for you. Veterinarian costs are separate from Pets at Peace. Pet Euthanasia is one of the most heartbreaking, difficult decisions someone can ever make for a beloved pet. It is perhaps the ultimate sacrifice and act of love we have to endure for them. The more you understand about euthanasia, the less likely you will be to question the decision or procedure, afterwards. This can help prevent those feelings of immense guilt, wishing you had done something differently. 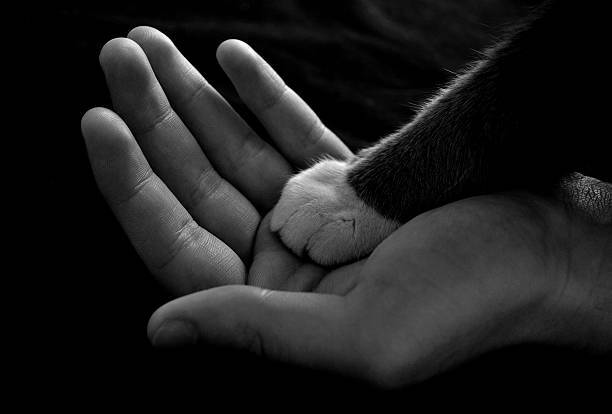 The decision of when to euthanize a dog or cat involves great personal courage and devotion. Many people fear they will not know when the time is right. Do seek guidance from your vet and include family members who share a close bond with your pet in the decision making process. No one knows your pet better than you do…. trust what your heart tells you. Even when we know intellectually that euthanasia may be the “best” or “most merciful” choice, that means little when we face the decision itself. Many pet owners cling to misconceptions that provide apparent justification for postponing this decision – often at the expense of the pet itself. Some pet owners reject euthanasia as “unnatural.” Nature, some say, has a timetable for every life, and by artificially ending a life, we’re disrupting nature’s plan. While charming, this belief overlooks the fact that by providing treatment, surgery, medication, or any other form of care for a sick (or injured) pet, we are already extending that pet’s life far beyond what would occur if matters were left in the not-so-tender hands of “nature.” Euthanasia is often not so much a question of “artificially ending” a life, but of determining when to cease artificially extending that life. One of the commonest sources of guilt is the belief that one has euthanized a pet “too soon” or for “selfish” reasons. “I should have tried harder,” many tell themselves. “I should have been willing to do more, spend more, get a second opinion, stay up all night to take care of her.” Yet the person who worries most about not having “done enough” is often a person who has already gone to superhuman efforts to care for that pet. A far more dangerous form of selfishness is to prolong a pet’s suffering simply to postpone one’s own. Many of us have heard of pets who allegedly offered some indication of acceptance of death, of being “ready to move on.” And who among us would not welcome that sense of being granted “permission” to end a pet’s life? Such a “signal” would remove the dreadful burden of having to make that decision on our own. Unfortunately, for many that signal never comes. Prolonging a pet’s suffering by waiting for a sign that never comes. The painful truth is that if your pet is terminally ill, and especially if it is suffering and unable to function, it will die; the decision you must make is not whether its life will end, but how, and how much discomfort you are willing to allow it to endure. Choosing a place to say goodbye to your pet is very important, perhaps at home where it is comforting to you and your pet. You could create a calm, soothing atmosphere by dimming the lights, playing low, familiar music and lighting candles. Each pet is unique. There are a variety of medications that are available for sedation and anesthesia for pets. Which drugs will be used and at what dosage depend on your pet’s weight, the species, the medical history, current medications being given and so on. All pets should be sedated before the administration of the intravenous euthanasia solution. This allows the pet to relax, surrounded by loved ones, and it gives the family additional time to say goodbye. The sedation will be administered by an intramuscular injection. This injection can be felt as any injection would, but the discomfort will last only seconds. This will be the only discomfort felt during the entire procedure. The pre-euthanasia injection relaxes the pet, dulls pre-existing pain and typically ensures a smooth transition. Once your pet is well sedated an IV catheter is placed in his/her leg to administer the euthanasia drug. This will not hurt since he/she will be sleepy from the sedation. If you need time with your pet to say goodbye during the visit you should not be rushed. Pet euthanasia is one of the most difficult decisions someone can ever make for a beloved pet. Questions to think about for Pet Euthanasia.